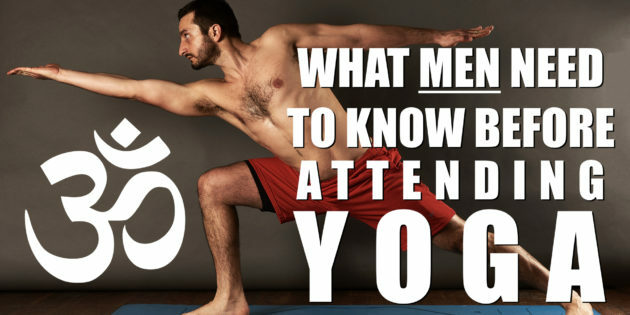 If you’re a man and you’re thinking of taking up yoga, or have just started to, then you must read this. It will save embarrassment, confusion and time. Guys – when in down dog, learn to close your eyes and get into the pose. Why? One, to feel your way into a deeper stretch. Two, and perhaps more importantly, if you’re in front of a woman and she’s still in the upward dog phase of her pose or otherwise “presenting herself” – it can be a little… awkward. You may want to be staring at your belly button, but trust me, those eyes may well wonder and make someone feel uncomfortable! When you’re doing a forward bend with legs outstretched on the mat and you’re all one behind the other, please be considerate. Maybe stagger yourself and as recommended in point #1 above, close your eyes if you are looking back. You also don’t want to be too close to the girl’s asana in front of you either, just in case it looks like the pose you’re doing is kissmyasana! When you’re starting out in yoga, more likely than not, you’ll be in regular exercise clothes rather than targeted yoga gear. If so, chose wisely. There are a lot of poses in yoga where you will be either sitting or standing with your legs apart. Trust me, neither you, nor the person next to you want to see more than they bargained for when coming to the class. Learn to understand your body’s movements. By that I mean, how you digest certain foods. Before starting yoga, it never occurred to me that what I ate might affect if I had flatulence or not (except for some obvious candidates, naturally!). When you do yoga, there’s a lot of twisting and moving and all that rotation can really, quite literally, squeeze the gas right out of you! Figure out what foods give you gas (like for me it was almonds – especially if un-soaked!). And if it does come out and it’s a silent but violent one (oh, forgive us! ), then forget the ujjayi breathing and breathe out as hard as you can through your mouth. If it’s a loud one, then act like nothing’s amiss! When I started yoga regularly, I was the only guy in the class for the first 6 months. It always amazed me that half the guys out on the gym floor (my classes were at a traditional gym) were probably out there trying to look good so that they could chat up women in a bar later (gross generalisation, I know!). All the while there’s plenty of great women right on their doorstep! Not that I’m encouraging going to yoga for the women, it’s not about that, but still, if it’s a case of spending an hour on the gym floor surrounded by sweaty men seeping testosterone and comparing whey protein shakes, or spending an hour surrounding by dextrous women who are able to move in ways high school boys day dream over….well, you chose. Most men I’ve met who have not done yoga and have no real concept of it, think it’s easier than it is. It always surprised me to see all these guys who could pick up one or two times their body weight with dead weights, but when it comes to holding just some of their own body weight in a pose for a few seconds were unable to do so. Don’t fool yourself into thinking yoga is easy. It’s as hard or as easy as you want it to be, but I’ve seen even the easy yoga beat the butchest of men. So men, if you want a tough workout that can be laid as a foundational practise to all other exercises you do (I still do Cross-Fit, cycling and other team sports) – then grab a mat and some concealing shorts, eat sensibly, close your eyes and jump straight in. You’ll love it!